Vivitek's HD83CUA projectorAVAD has added Vivitek to its lineup of video, audio, networking, lighting control, security, home automation, and other innovative solutions available for distribution. AVAD will carry the latest solutions from Vivitek, including solutions for large venues, home theater and meeting and small conference spaces. 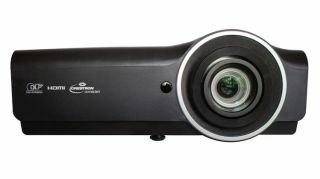 The DH83CUA, a multimedia projector with long lamp life and a host of connectivity options, features 5,000 lumens, 20,000:1 contrast radio, and full 1080p with 3D compatibility is available exclusively from AVAD. In addition, AVAD will offer the D5000 Series, a class of large-venue projectors with optional lens installation flexibility, 4,700 to 6,000 lumens, 2,000:1 contrast ratio, and WUXGA, 1080p, WXGA, and XGA options. The latest home theater projectors, including the H1188 and H5095, are available from AVAD and feature full HD 3D 1080p. For meeting and small conference spaces, AVAD will offer the D3000 Series, with XGA, WXGA, 1080p, and WUXGA models included in the series.